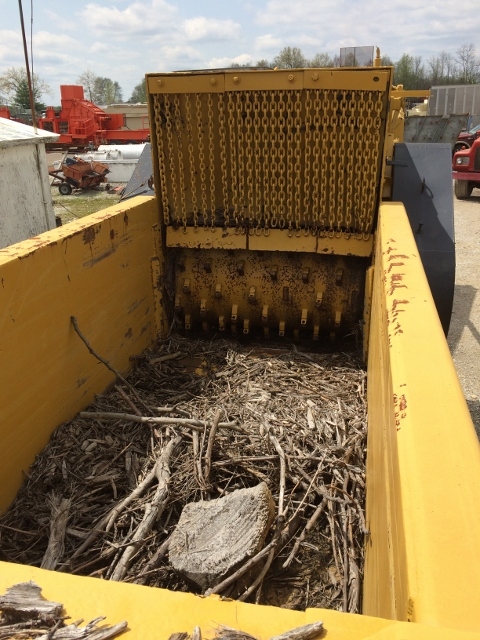 56″ wide rotor w/ knife blade cutter tips. 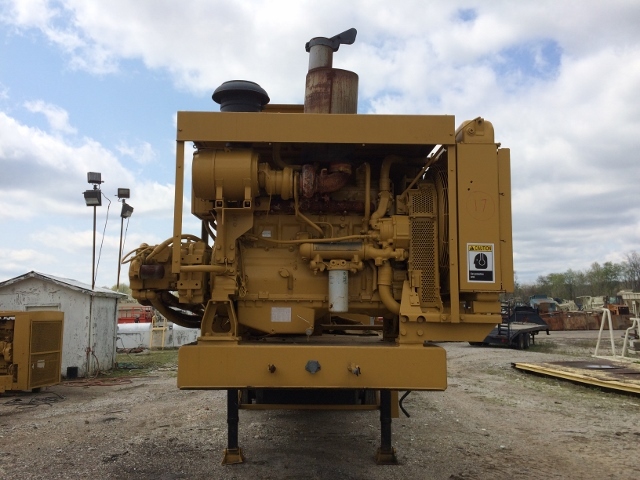 CAT 3406 engine (4,814 hrs.). 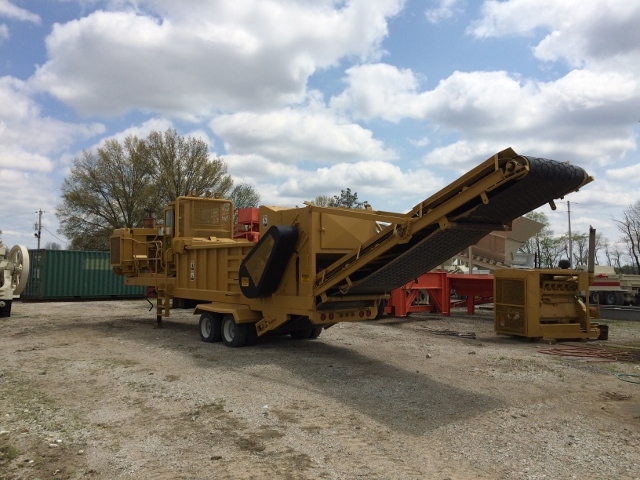 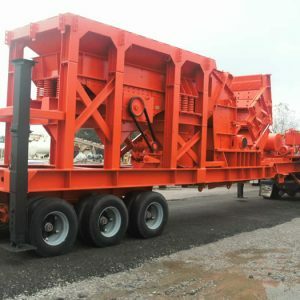 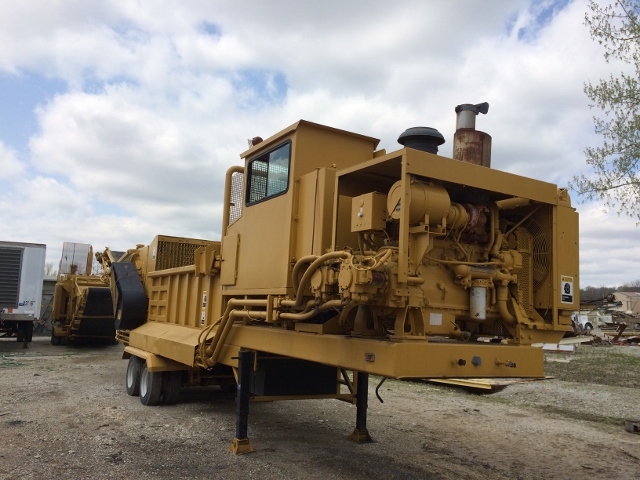 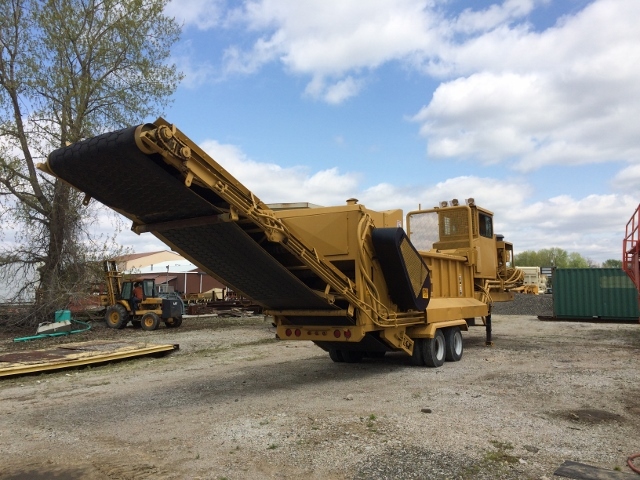 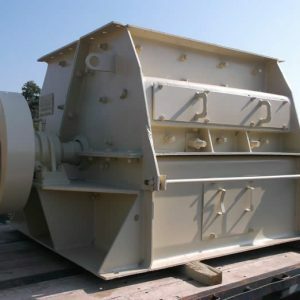 10’6″ (l) x 58″ (w) hopper w/ hydraulic ram to push material to grinder. 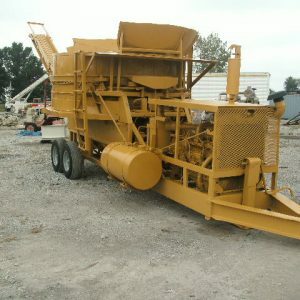 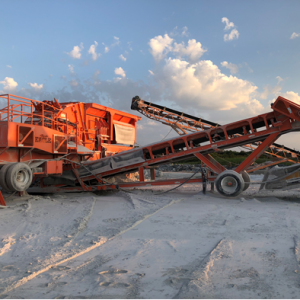 58″ rear discharge conveyor (10′ discharge hgt.). 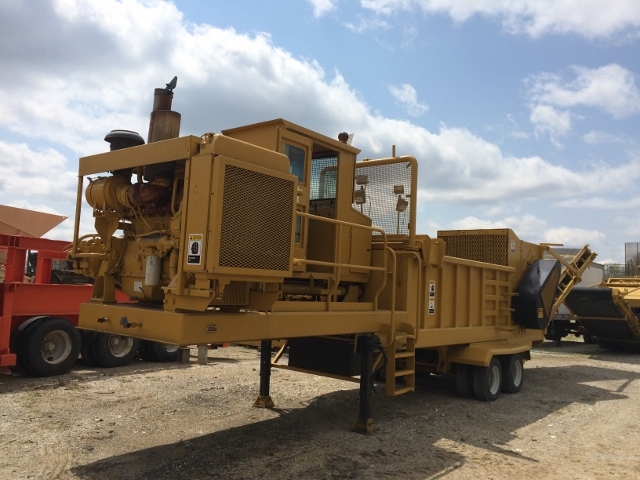 Tandem axle chassis w/ 5th wheel pin, 215/75R17.5 tires, (2) manual dolly stands, enclosed operator’s cab, access ladder, and walkway.